I forgot to post yesterday due to being busy, so here is where I’m at so far on the second day of the tour. 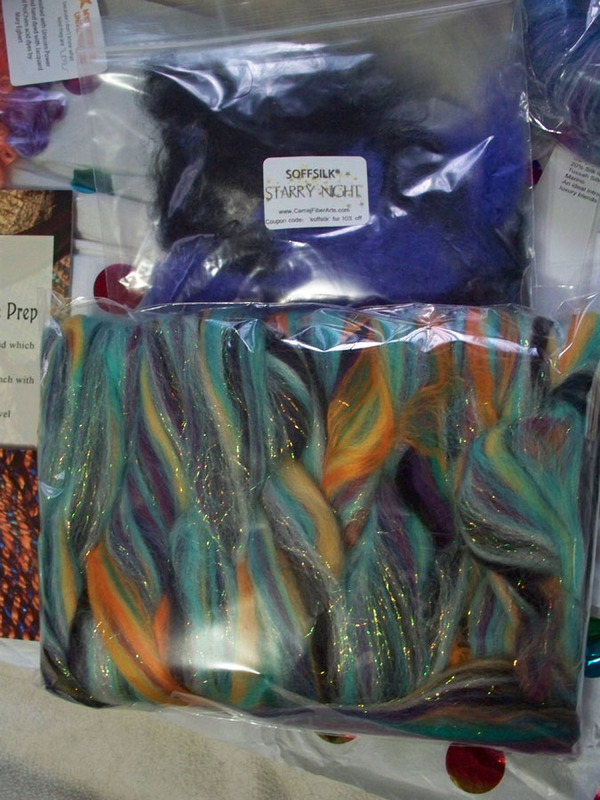 I am spinning mostly Loop bullseye bumps, but have a few others planned as well. 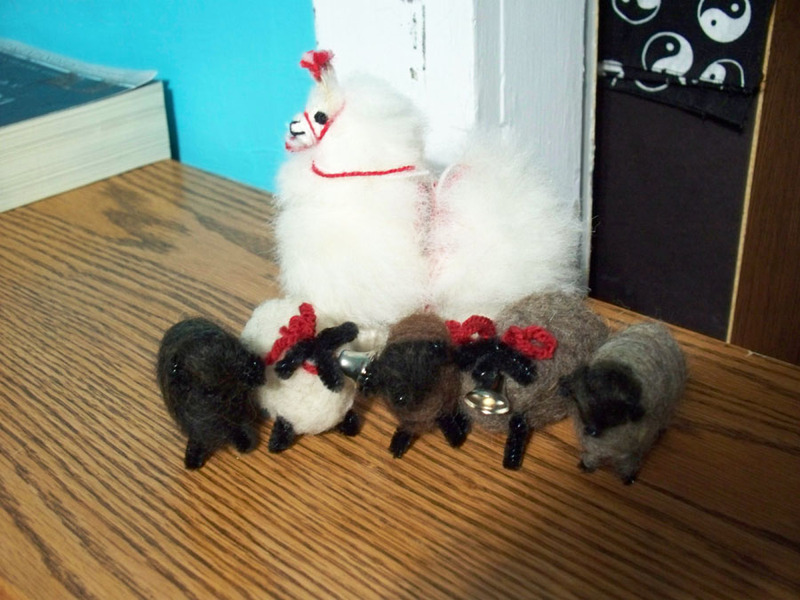 I am on four, yes four, teams this year; Team Merlin Tree (the makers of my spinning wheel), Team Loop (who’s fiber I’ll mostly be spinning), Team Turk (for Turkish spindles), and Team Webs (who are my LYS). 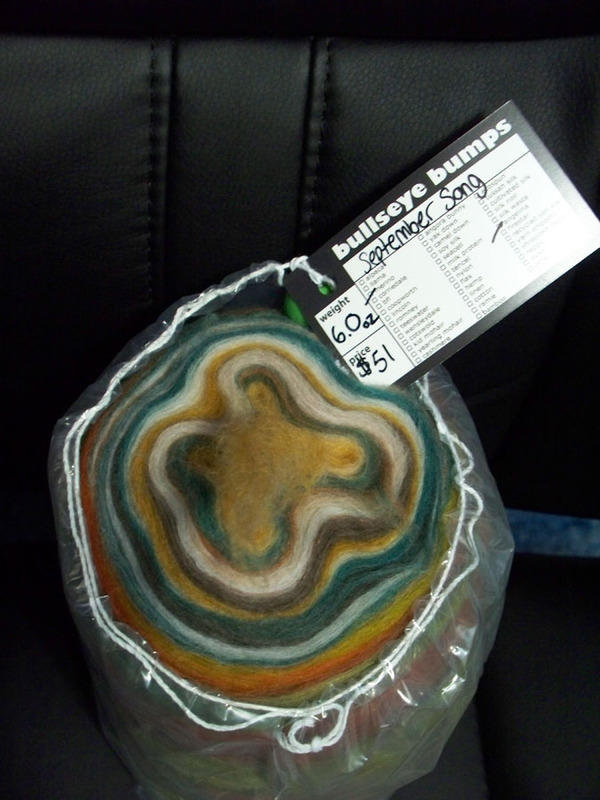 Skein number one was made with Loop bullseye in the colorway “September Song”. 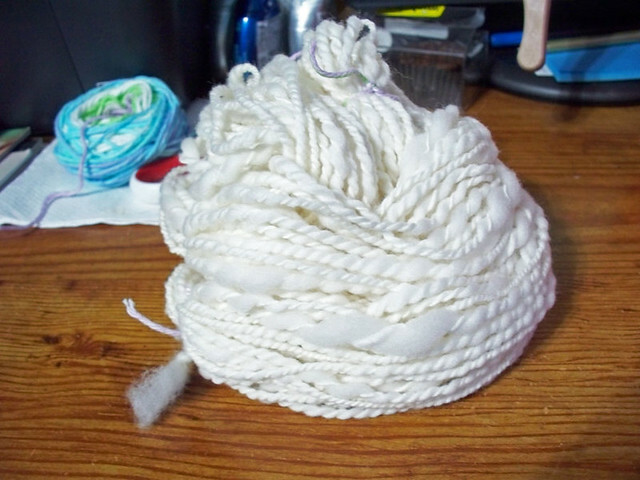 I n-plied it and got 87 yards, 6ozs. 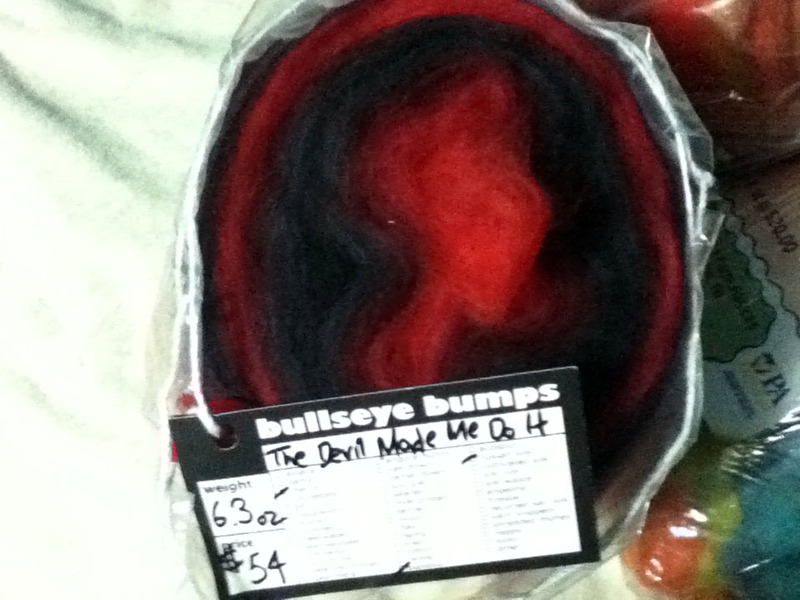 Today I spun up another Loop bump, this time “The Devil Made Me Do It”. 5.80ozs, two ply, 128 yards. 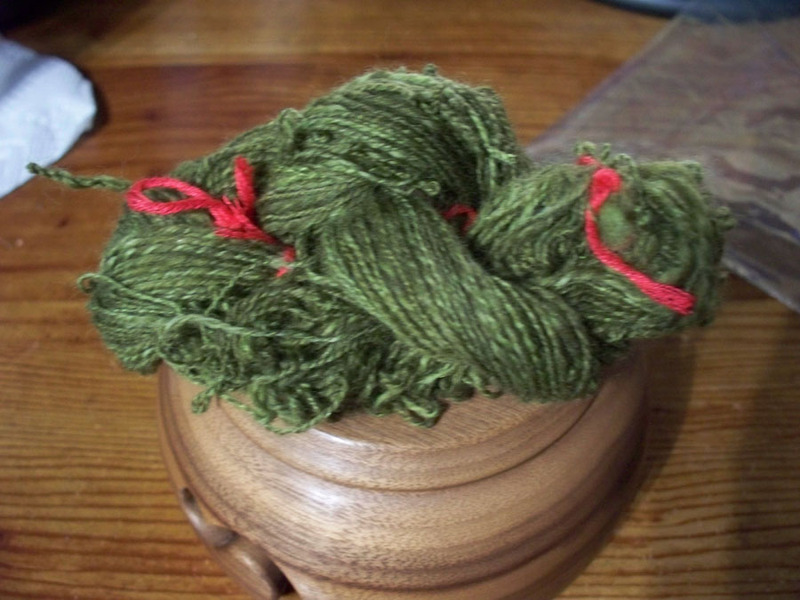 I had some left one one of the bobbins and with that I n-plied and got seven yards. 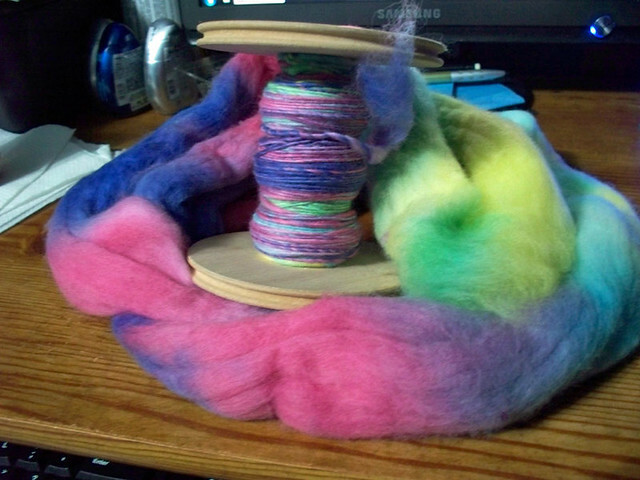 Earlier in the week I did some more spinning. 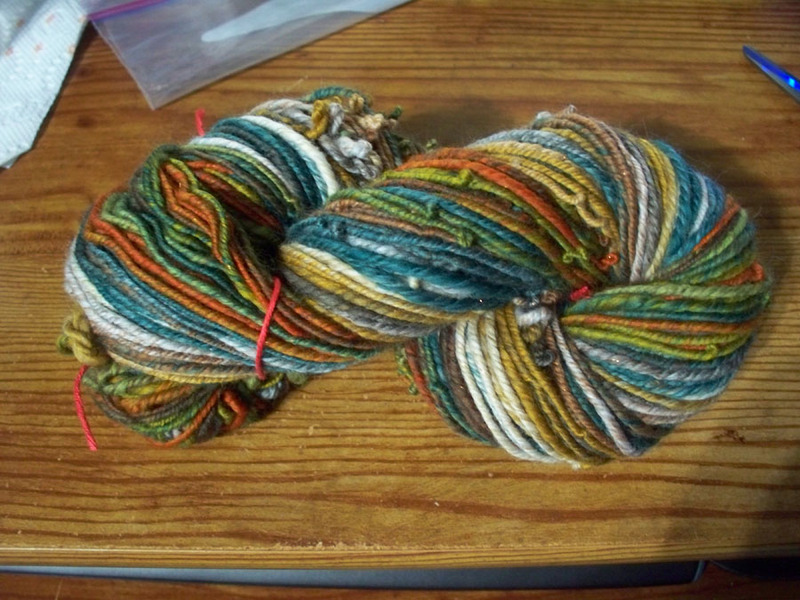 I finished up the fiber that I bought at the Mutton & Mead festival, The Ugly Room in colorway “My Yard in September”. 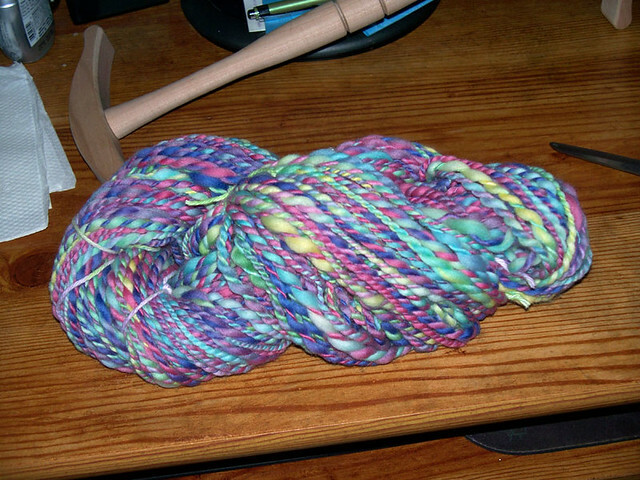 I spun it up on my drop spindle and plied it on my wheel. 3.95ozs, N-ply, 78.5yards. 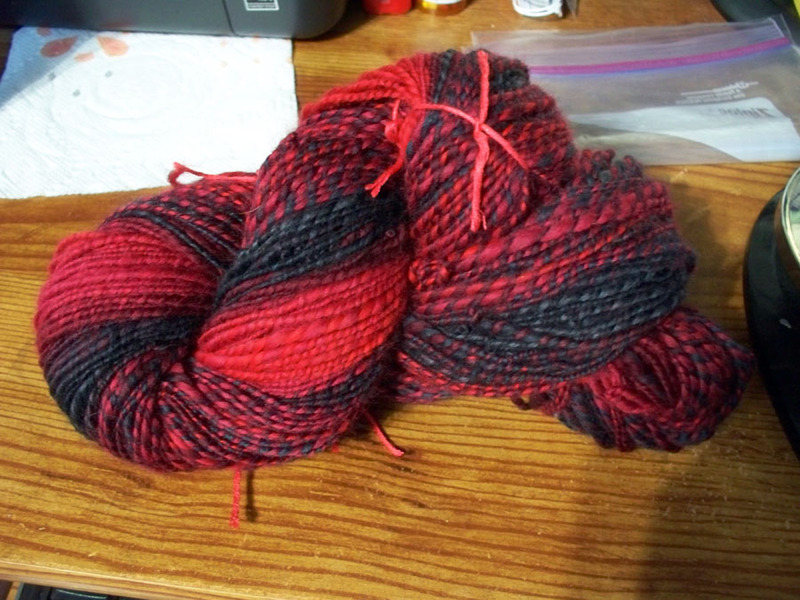 And lastly, I finished spinning this merino from Loop samples that I started spinning last year! Done on my Turkish spindle from Snyder Spindles on Etsy. .40ozs, 40 yards, two ply. 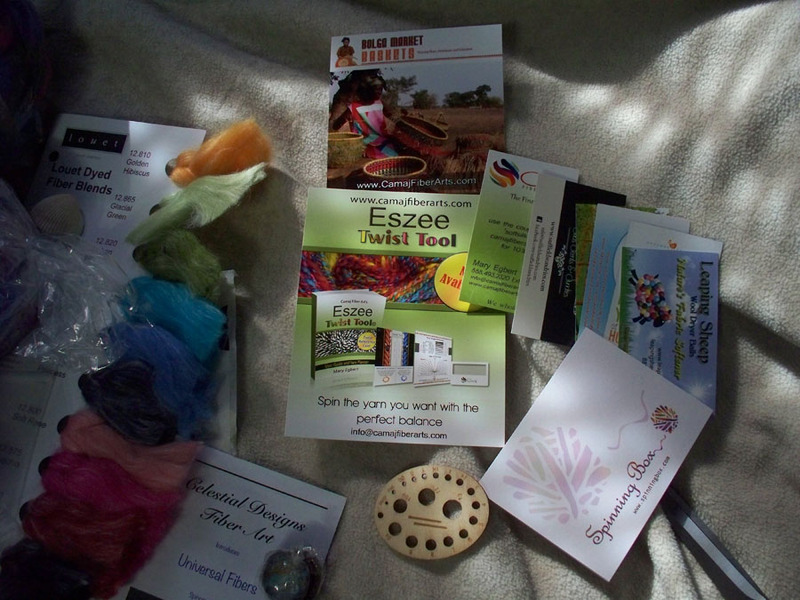 There are a ton of different monthly subscription boxes out there, which makes me very excited. I was doing one for Japanese treats for a while (Skoshbox) but since I’m trying to lose weight, I did not renew my subscription. 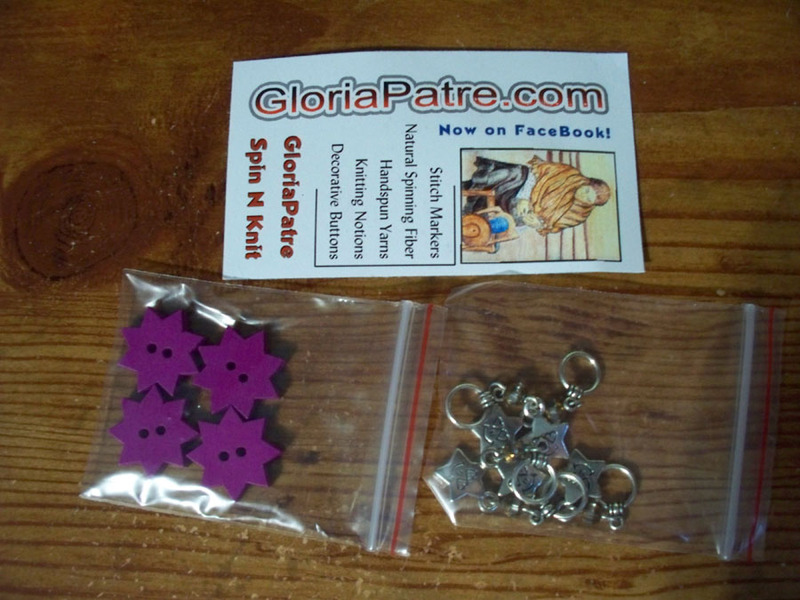 Then while on Ravelry (I think) I started seeing ads for a Spinning Box, so of course I had to check it out. 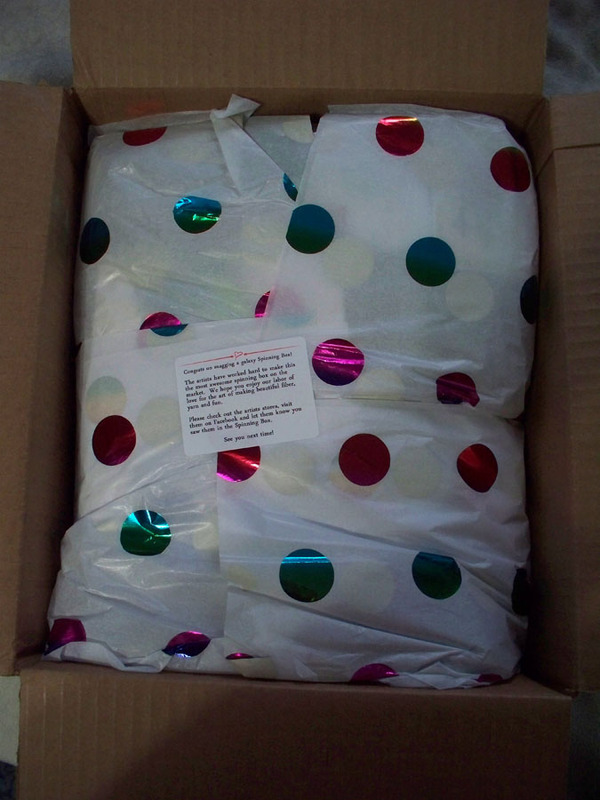 I love surprises like this and being fiber related was a huge plus. 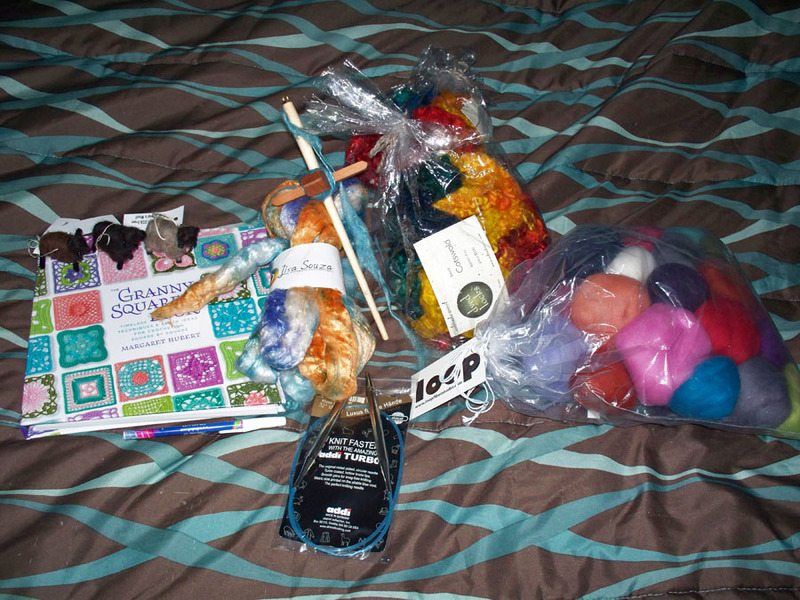 Not that I really need to add more to my stash, but at least Tour de Fleece is starting soon so hopefully I’ll be spinning up a lot of my stash. 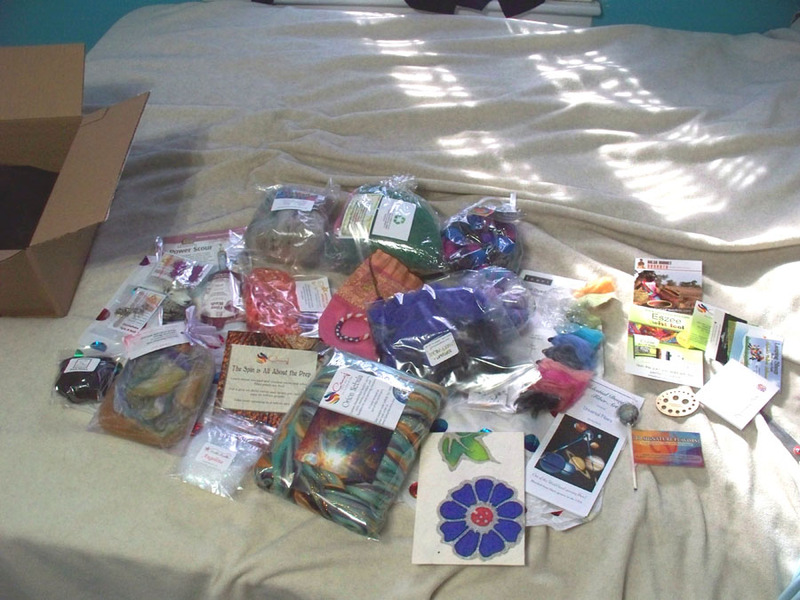 Anyway, after looking at pictures and videos of previous boxes, I decided to sign up for the three month package. 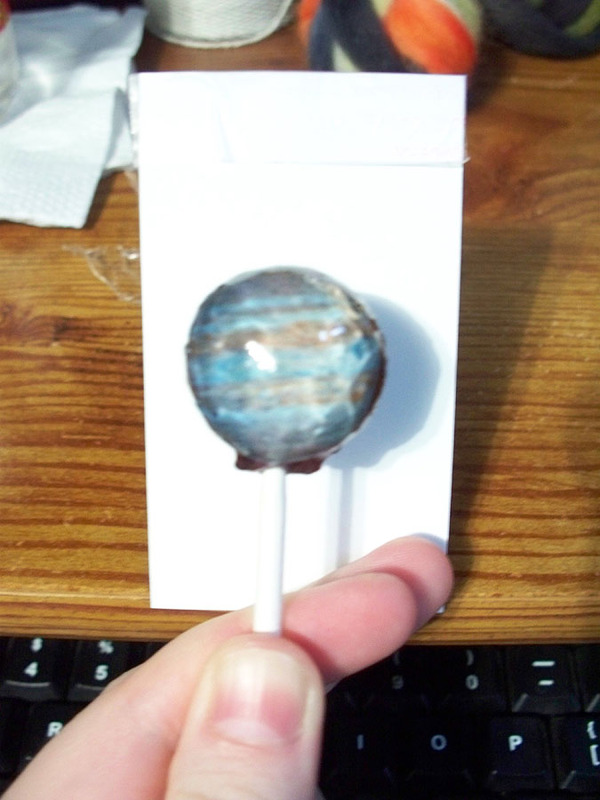 This month’s theme is “Galaxy” so I was very excited to see what would be in it. 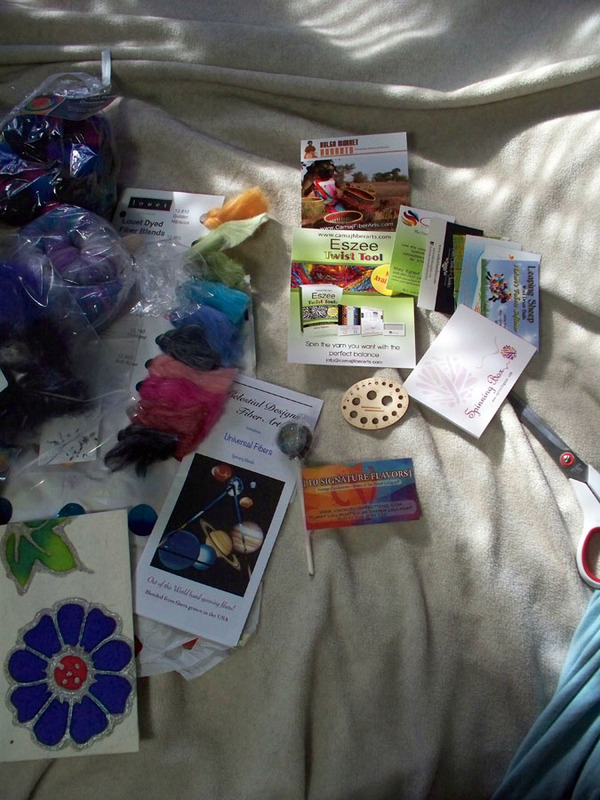 It arrived the other day and my mind was blown at the amount of goodies in that box. I was expecting half that amount! 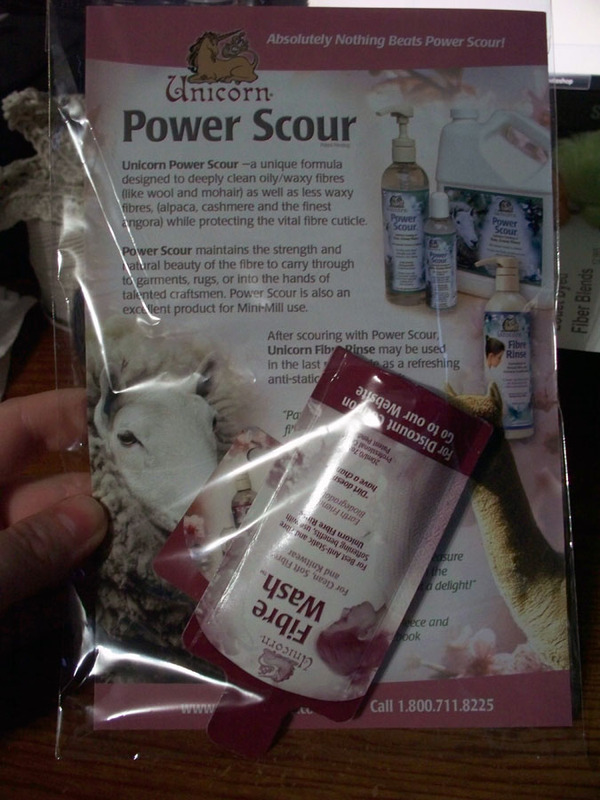 As soon as I took it out of the box and opened the tissue paper, everything exploded on my bed! So was it worth it? YES! Am I glad I signed up for the three month and am already thinking I’ll extending it longer after that? Hell YES! If you haven’t already, go check out Spinning Box, but you have to be quick as there is only a limited number of subscriptions each month. If you are interested, sign up for the email. 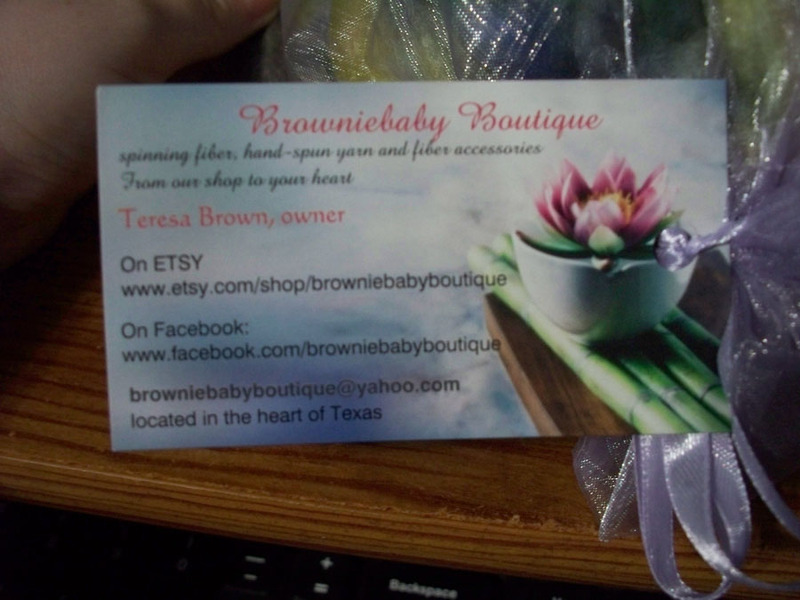 Also, they do have a Facebook page. 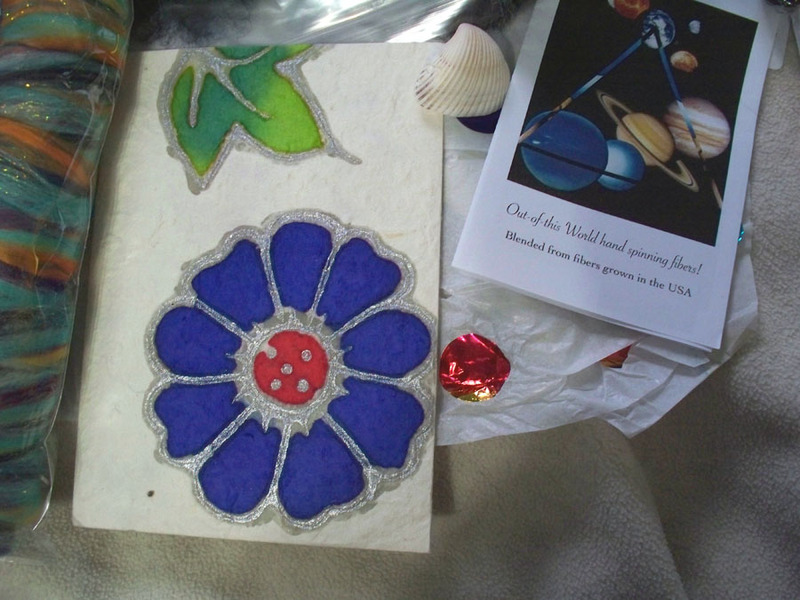 The next challenge will be figuring out what to make with everything! 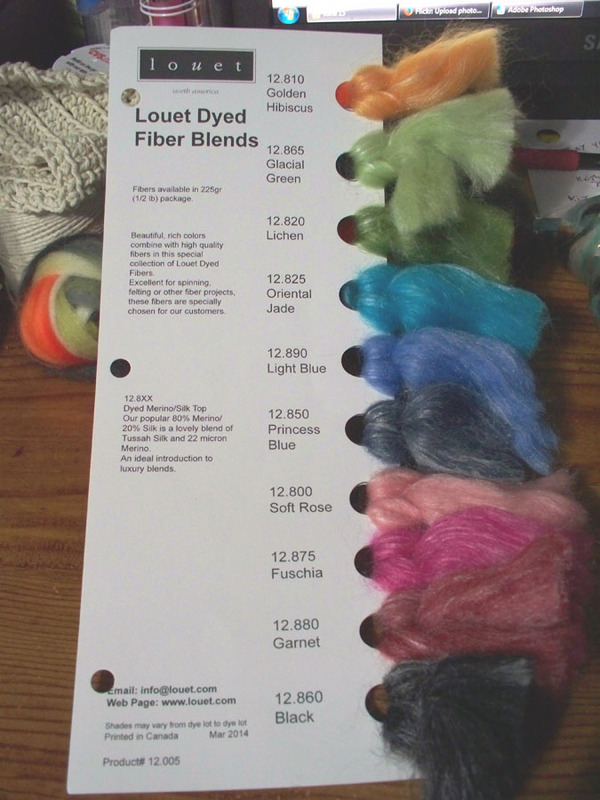 For those not familiar with it, Tour de Fleece is a yarn spinning event that goes on during the Tour de France. It runs from July 5th to July 27th. 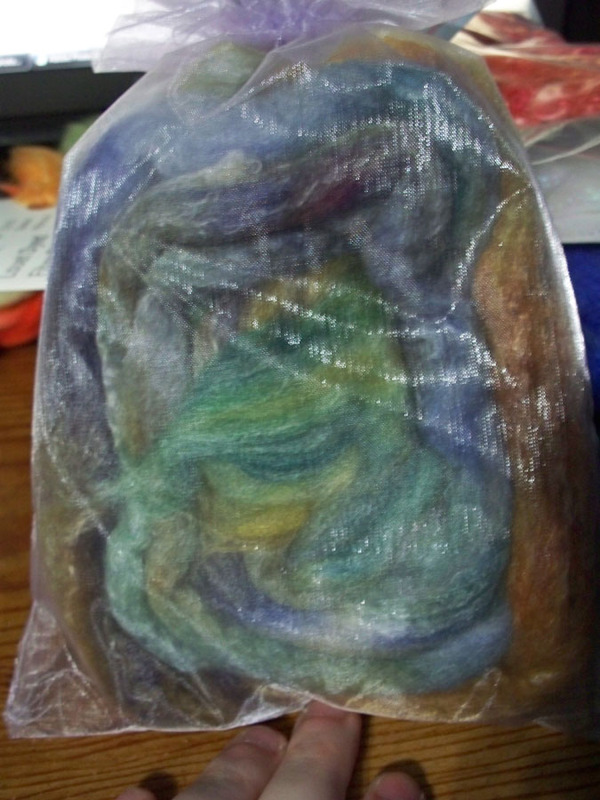 The goal can be whatever you want it to be; from trying to spin as much yarn as you can to trying out new techniques. 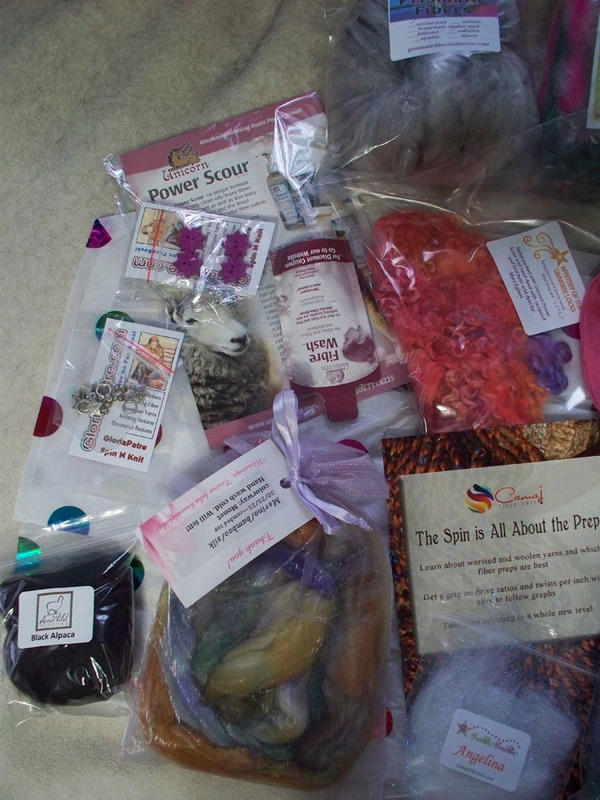 For people who don’t spin yarn, they do their own challenges and it is fun all around for fiber and yarn lovers. This year is the first time that I have participated and I had a blast. 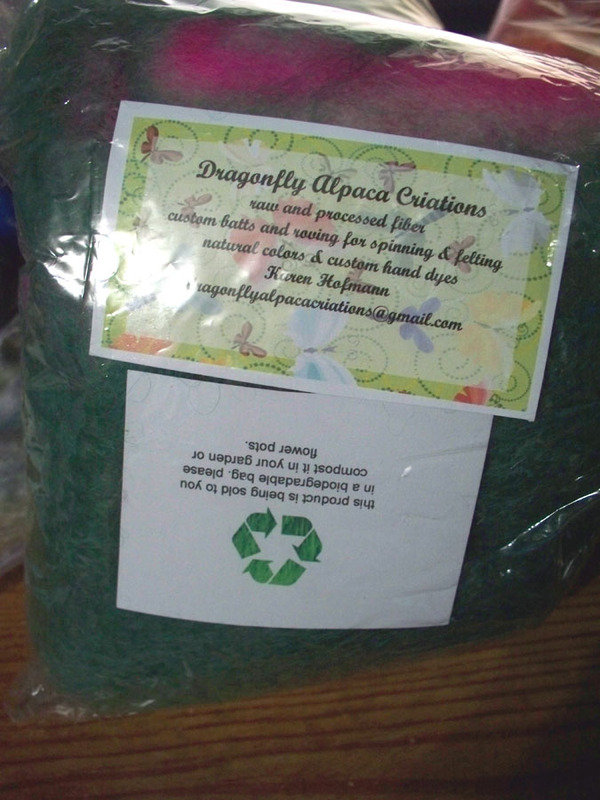 I learned how to chain/Navajo ply and I spun alpaca and Targhee for the first time. 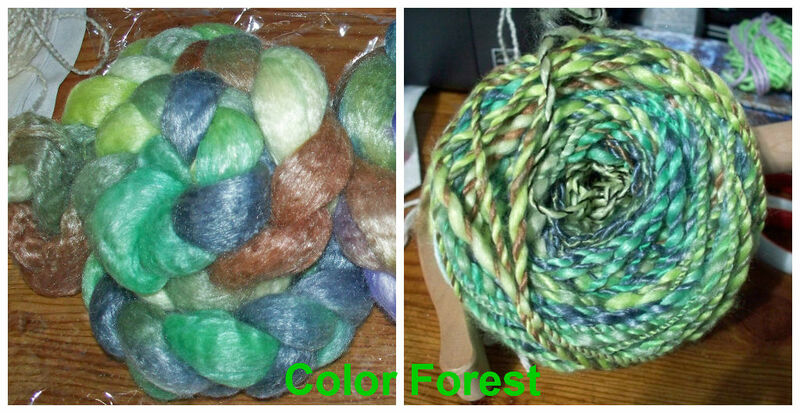 Below are pictures of the yarns that I spun during the event. 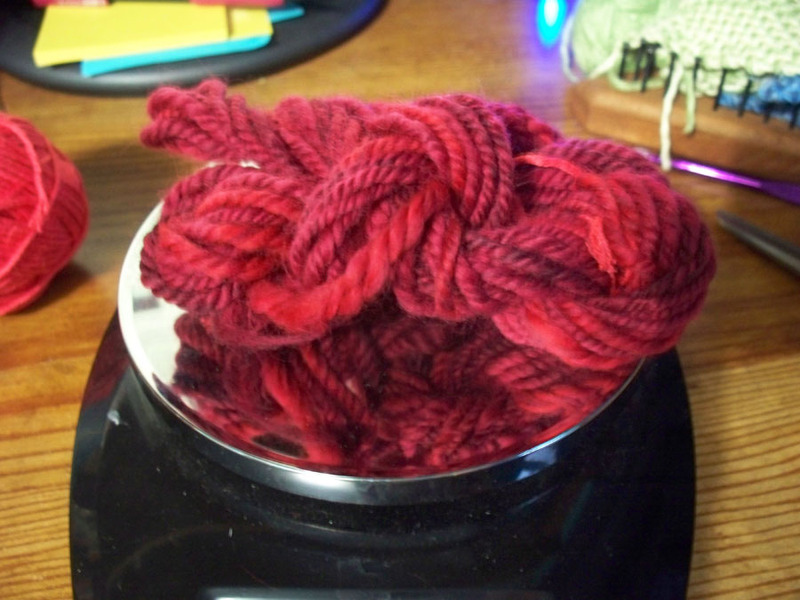 I spun a total of 2.025 yards which is equal to 1.15 miles! 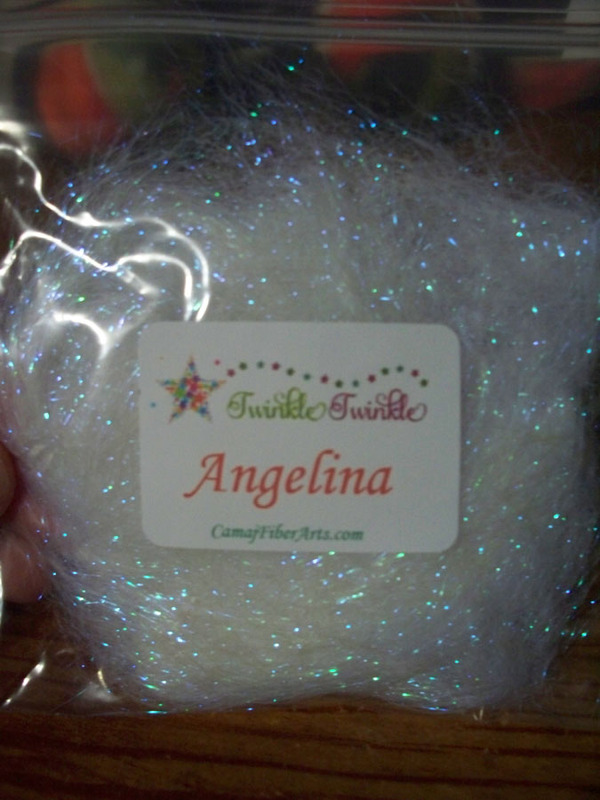 My next event will be doing Spinzilla, also for the first time, in October. 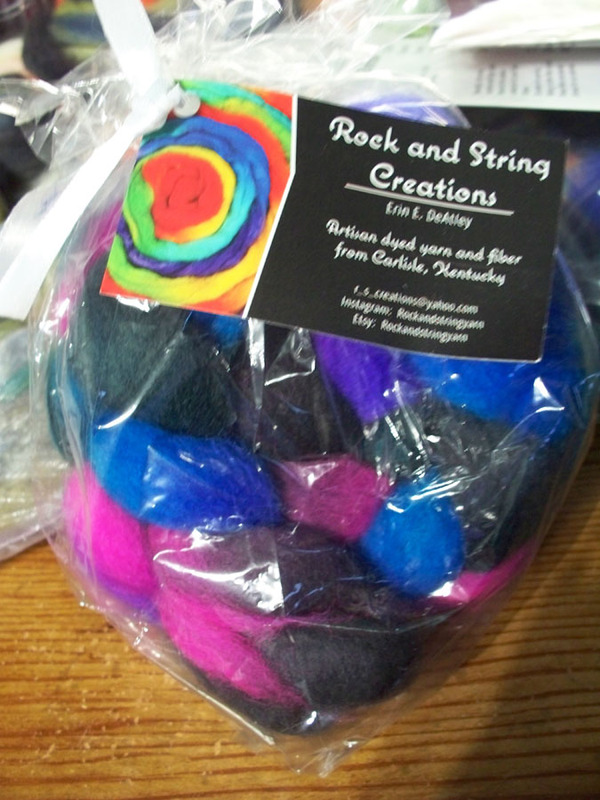 The following week is Rhinebeck, which is good because I’ll need to restock my fiber supply! 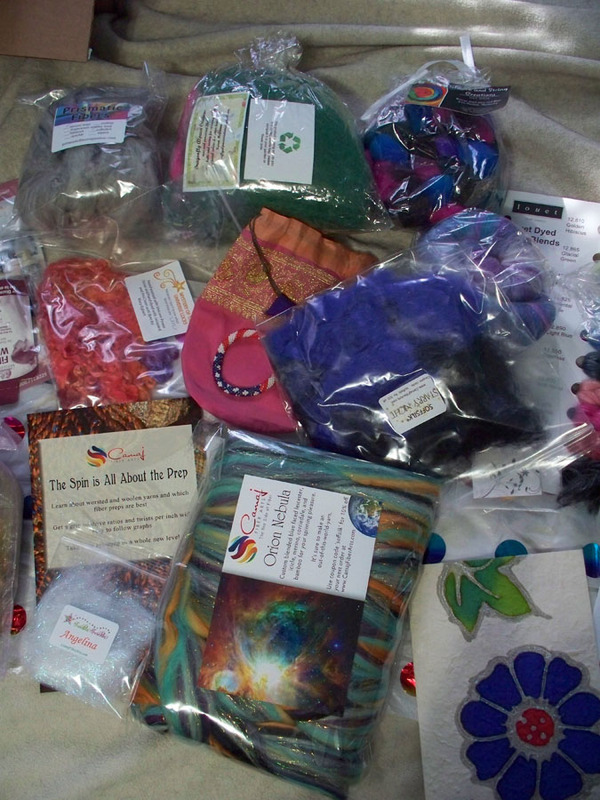 I am currently waiting on a tri-loom and I will be weaving up most of this yarn into shawls. I can’t wait to see how they turn out. 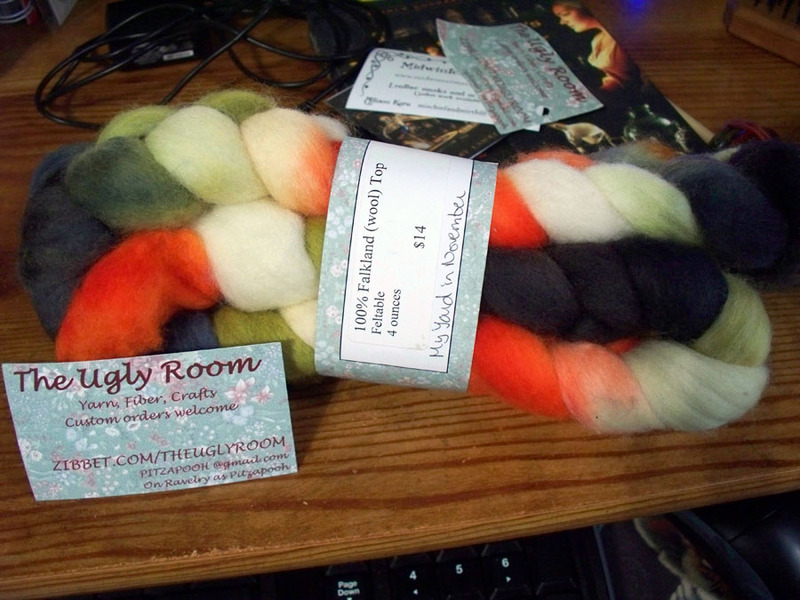 I’ve been in a spinning mood over the weekend and it’s still going. 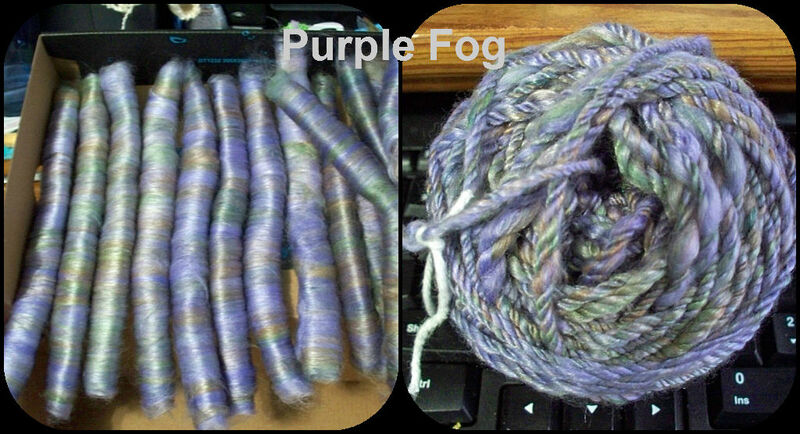 Right now I have two new yarns to share. 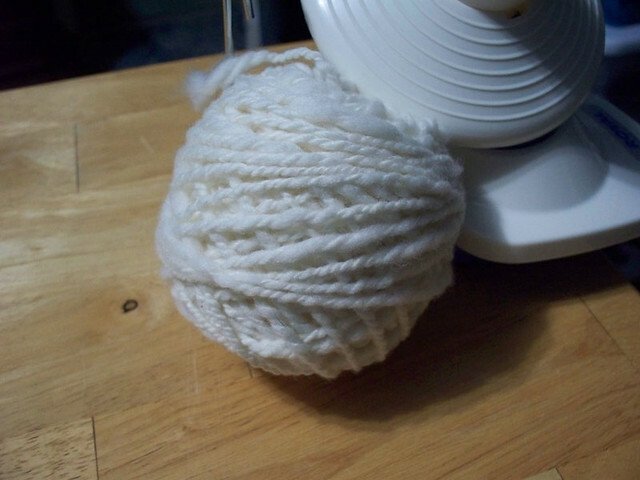 This first one is my first time spinning Cormo. 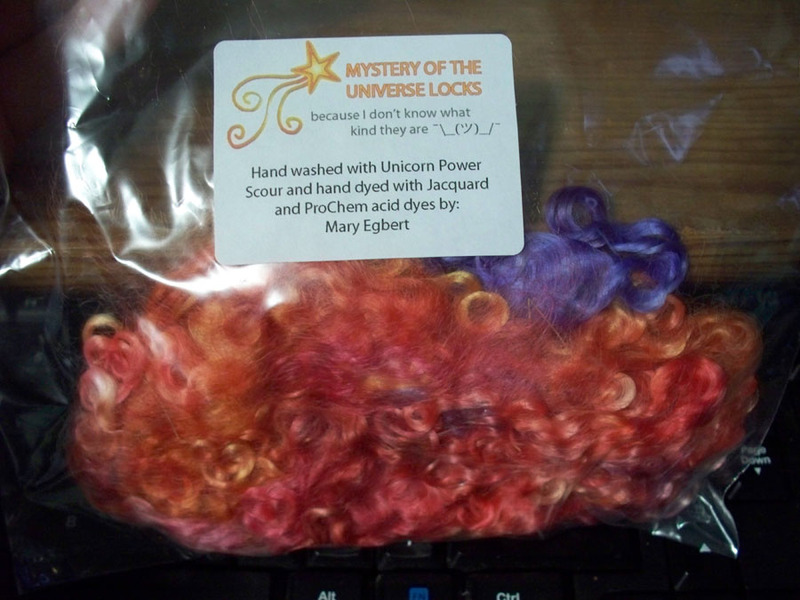 It is extreamly soft and I am in love with it! 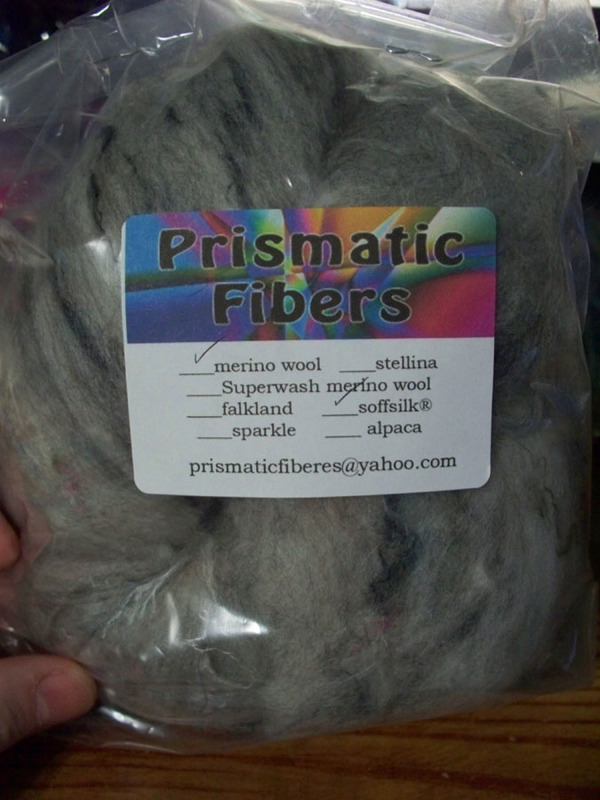 I only bought 2oz of the fiber to try it out, but when I buy more I think I’ll be ordering at least a pound of it! 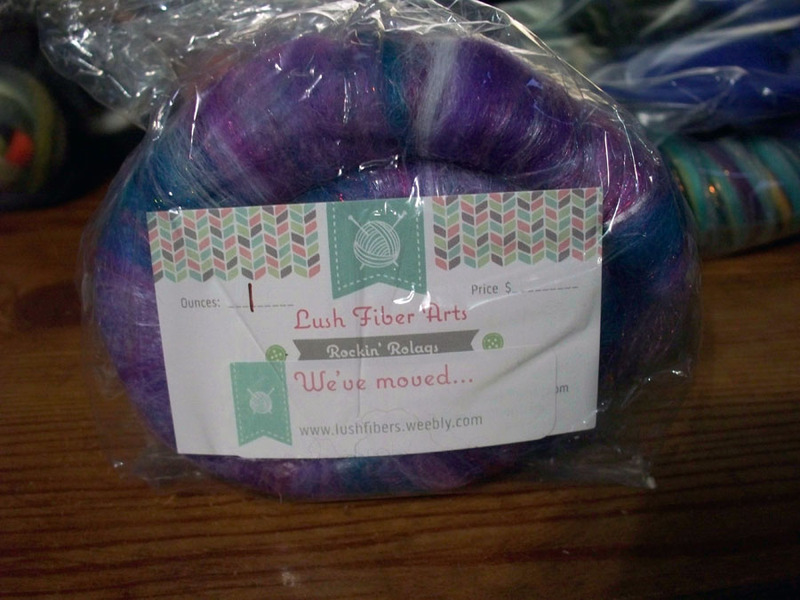 Next up is some fiber I bought at Webs. 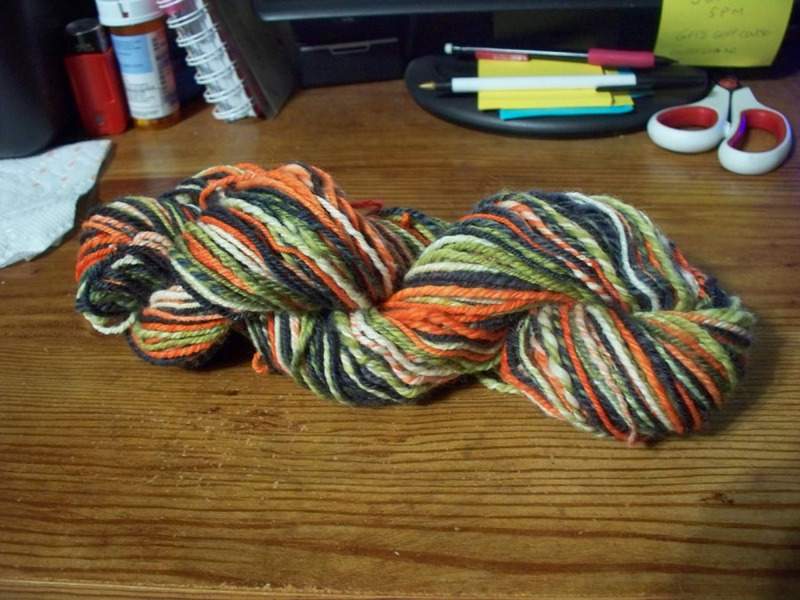 It is Frabjous Fibers in the Breeze colorway. 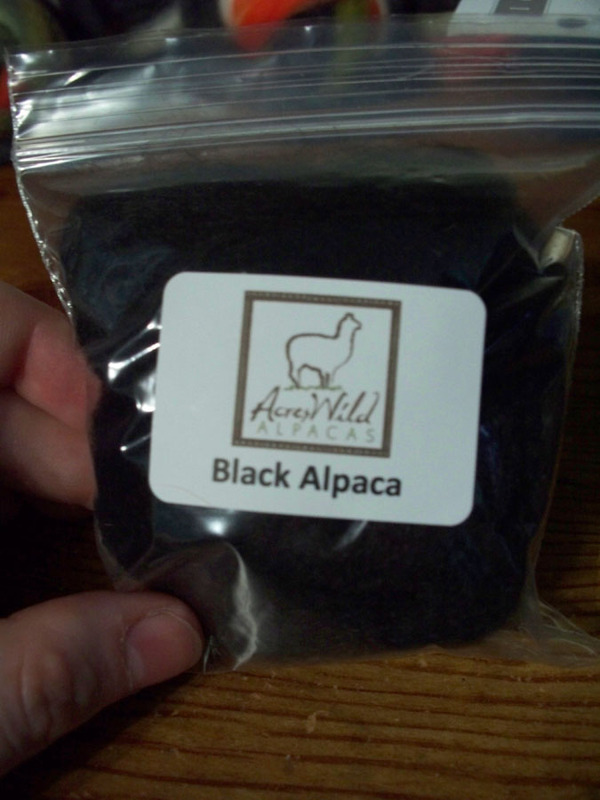 4oz, 100% Merino. 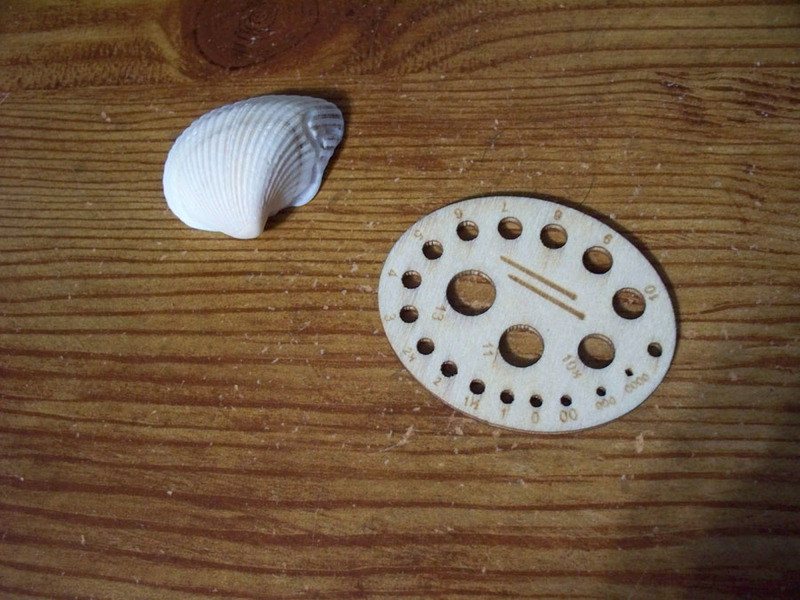 As usual, I have no idea what I’m going to be making with them. The cormo is about 60yds and the rainbow one is 98yds. 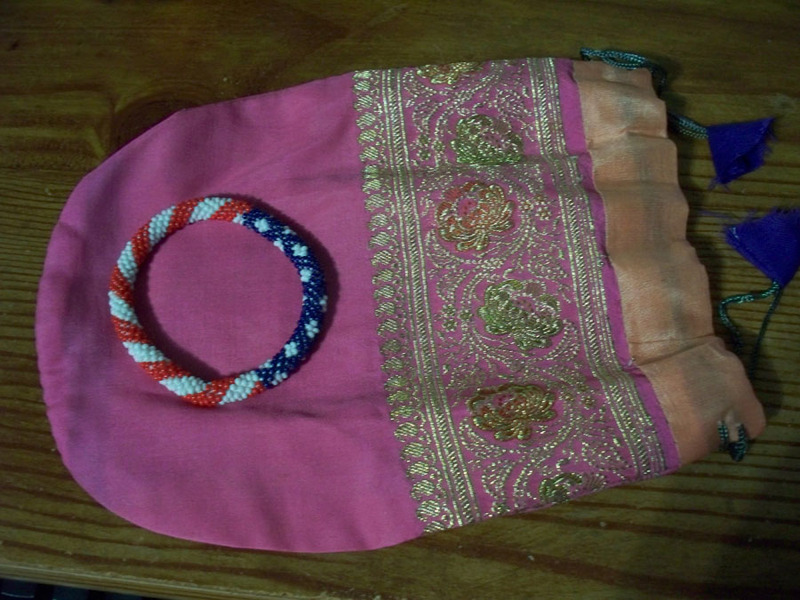 I think I might weave with the second one, maybe a small bag or something.